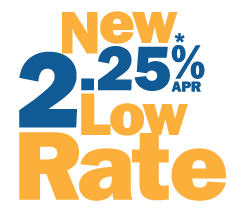 News from LMCU: Gear up for winter with our lowest auto loan rate ever! Gear up for winter with our lowest auto loan rate ever! Winter seems to bring out the worst in automobiles. Whether you’re shopping for a reliable new vehicle, or looking to get out from underneath an existing high-rate car loan, we’re offering our best auto loan rate ever! Call (800) 242-9790, visit LMCU.org or stop by any branch and start saving! *APR= Annual Percentage Rate. Terms 0-48 months. Rate subject to change. Your rate may vary depending on your specific credit terms.